Today, for a wee bit of a change ( and for the first time ever) I have a guest poster! Today's guest to Under The Scottish Rain is my sister Eleanor. She's decided to write a book review for one of my Blogmas posts, as Eleanor has read a huge number of books, memorised every detail of them and can recommend a book for almost every genre. Even I get the majority of my book recommendations from her. 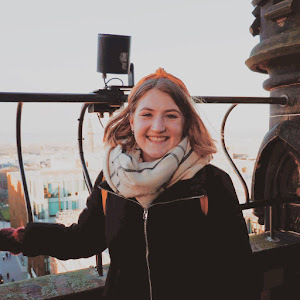 So today, she's written about one of her favourite authors, and I'd love if you could encourage her to continue writing reviews! I love any book to do with crime and murders, that’s my go to book. So when I had exhausted all the crime books I owned, I turned to some of my eldest sisters books by Jodi Picoult. And I turned out that they fast became my favourite books and she is my favourite author. In my bookcase at home, I have a shelf filled with all her books, ranked in order of my favourite. And by far the favourite is House Rules. House Rules is book is about an 18 year old called Jacob, with Asperger’s Syndrome who is in love with a girl who helps develop his social skills; and is completely engrossed with forensic science. His mother struggles to look after him and his younger brother Theo, who is 16 (and I happened to fall completely in love with). So when the close family friend who helps Jacob goes missing, Jacob is the first person to be linked and then is accused of murder. The book changes narrative within each chapter, with points of view from Jacob, Theo, his mother Emma, and his lawyer. Personally, I love this as it gave great insight to each character and made you fall in love with each of them (in my case, Theo). There are many plot twists and unexpected circumstances within the novel itself and even though it is quite long, it engrosses you right from the start. Personally I loved the court room parts and loved trying to guess what had happened. I didn’t guess who had done what until the very last second, where flashbacks showed everything. I would recommend this book to anyone who loves crime or court room drama. You are totally drawn in straight away and you wont be able to put it down. 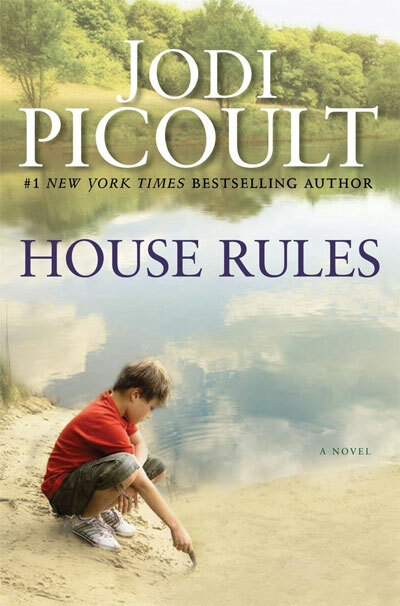 I hope you take up Eleanor's recommendation and read some of Jodi Picoult's books - whether it be House Rules or another, they are all equally captivating. I love Jodi Picoult. She is my favourite author, and House Rules was my favourite book of hers. I like the crimes, and how the twists unravel. Such a brilliant writer, and she captivates me within the books.